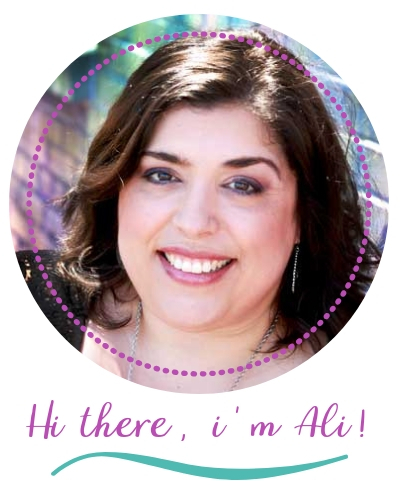 Living with a chronic illness can be a lot like riding a roller coaster. Some days your illness is "in check" and you have a positive outlook on life. Then, other days you may be experiencing a flare of symptoms, a bad side effect of a medicine, or simply a grueling day. On those days finding things to be positive about can be challenging. Working past your challenges will show you that you are not defined by your illness. You have the power to decide how you will live your life. As a chronic illness warrior, we are not fighting our body or even our illnesses. We are fighting for a better life--a version of a life we love. 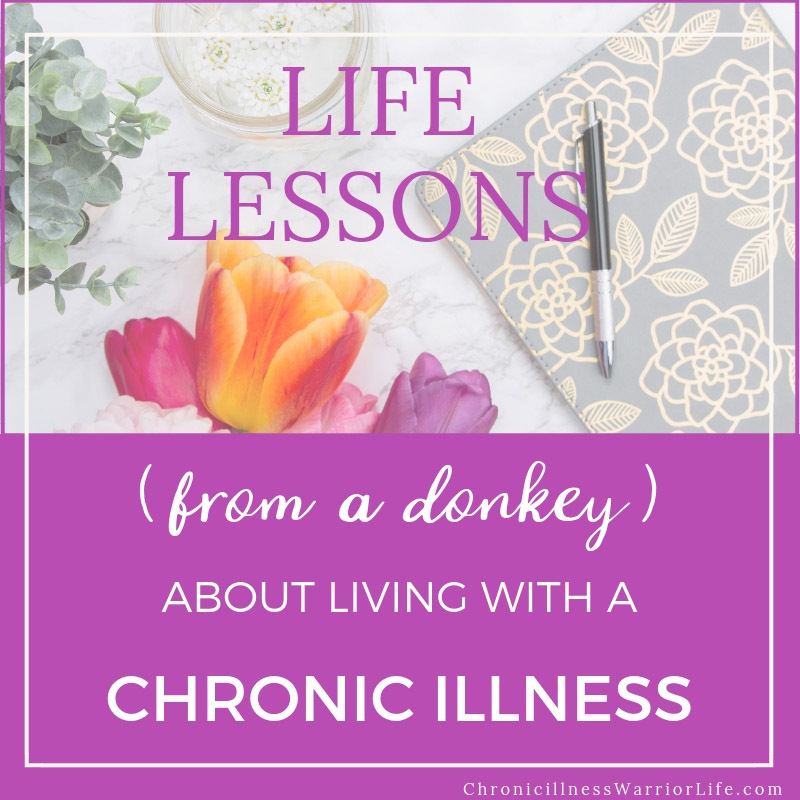 You don't expect to learn life lessons for living with a chronic illness from a donkey. But, this is a message that chronically ill people need to hear. 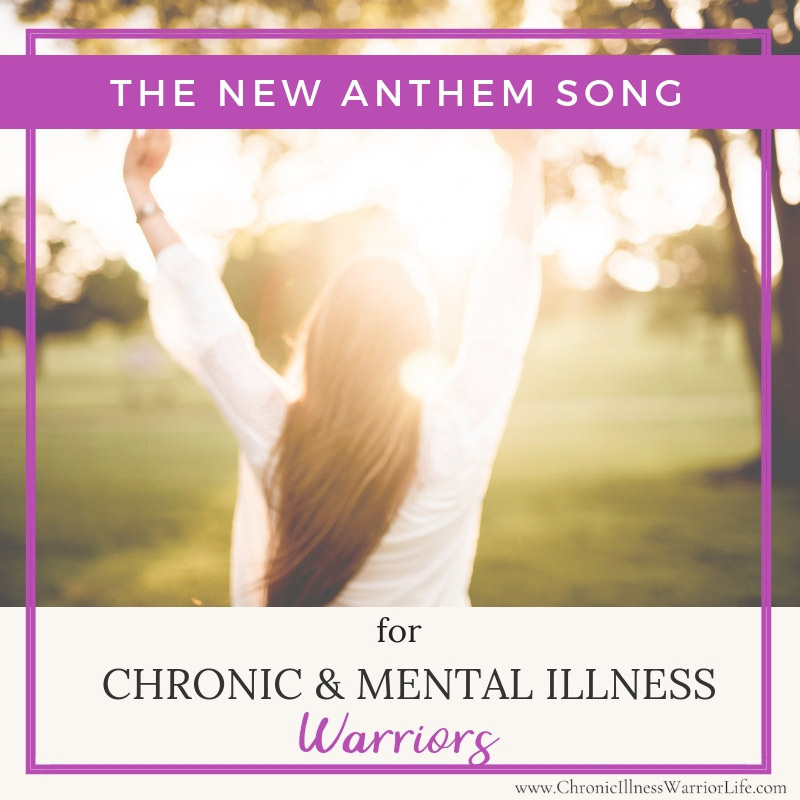 Songs are powerful inspiration and can raise awareness for chronic and mental illness. This song should be the anthem for chronic and mental illness. 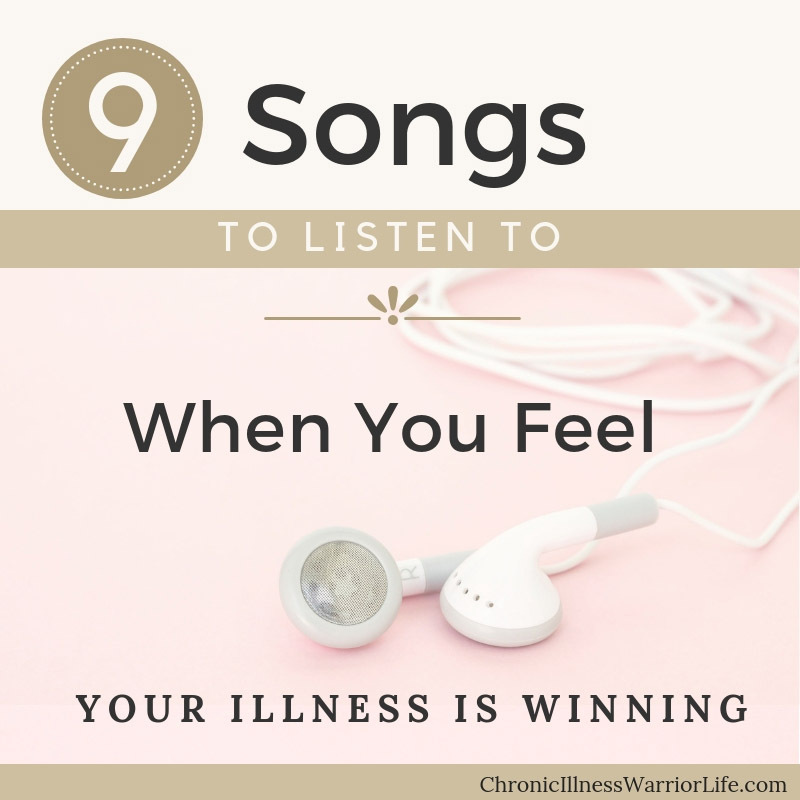 When you feel like you're losing the fight against your illness, listen to this playlist to remind you who you are-a chronic warrior. 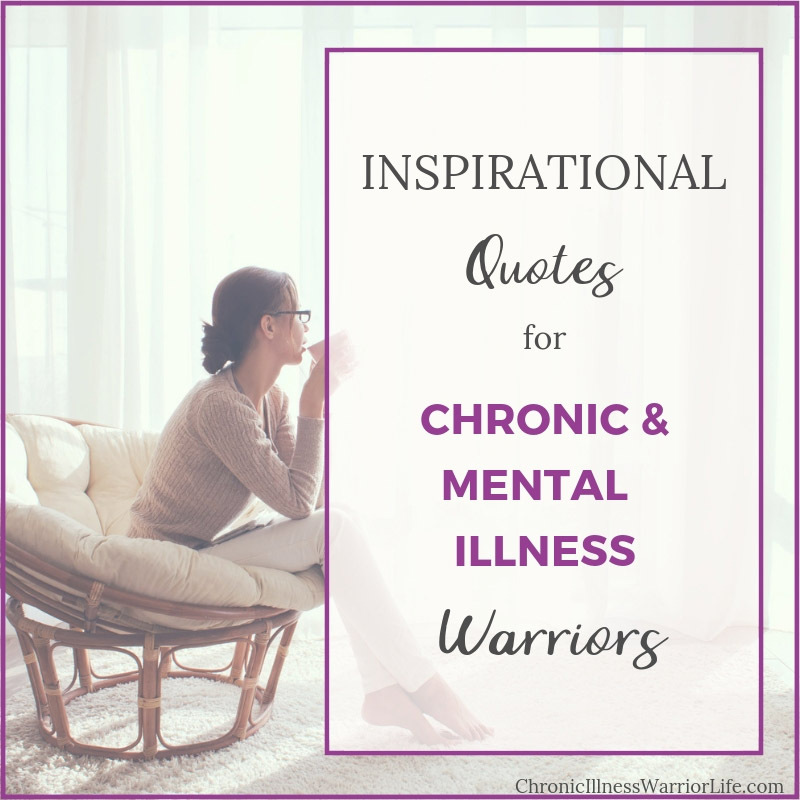 These 36 encouragement quotes for chronic illness warriors are perfect for when you need to be reminded of your bravery, courage, and strength. Don't let gift giving be a challenge. 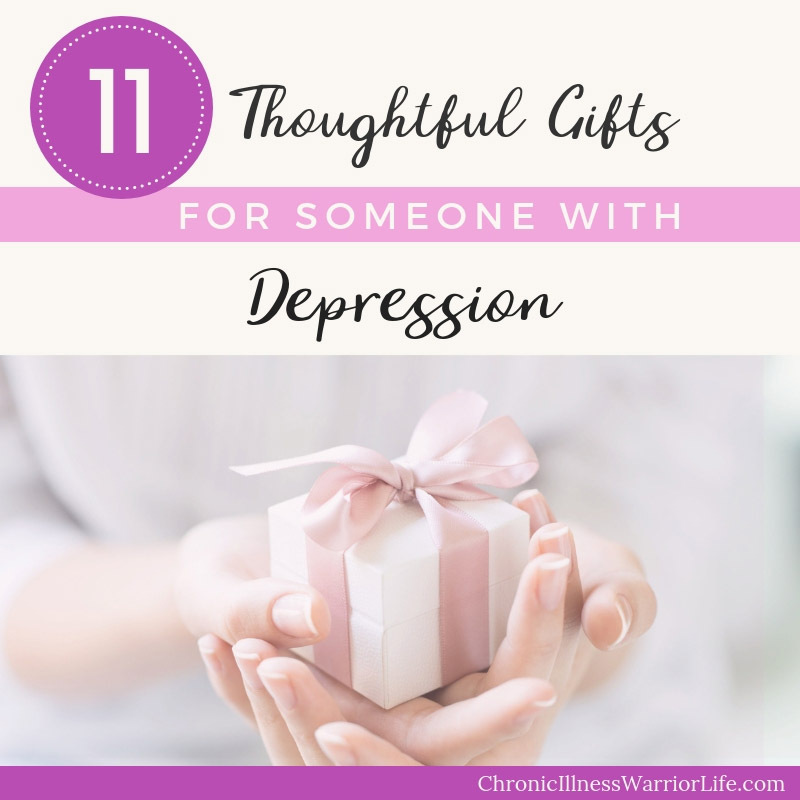 Use this awesome gift guide and find the most thoughtful and soon-to-be treasured gifts for someone with depression. Being a part of our Facebook Page and Private Group is a safe place to connect with others who go through some of the same struggles. Surround yourself by others who understand you most--other Chronic Illness Warriors. Not only will you find a support system here, you will also find the most up-to-date tips and encouragement to put in your toolbox for dealing with your chronic illness.